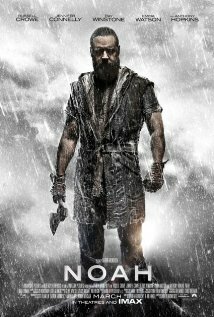 Noah starring Russell Crowe and directed by Darren Aronofksy was a complete disappointment to the epic Bible story. Noah is chosen by God to complete a great task, to build an ark to save the animals, (and the human race, or so I thought. )The Bible states that Noah and his family was chosen because they were good people and didn’t give in to the sins of the world. This movie took that whole idea and concept away from the original story. I think everything went wrong for this movie, starting with Noah’s son’s Sham, Ham and Jabath. All of which were young boys and not men. In the bible they are men and already have wives. Then there is this whole war that is started by a villain, supposedly a descendent of Cain, Tubal-cain, played by Ray Winestone. Viewed as a king by the people, he demands to be saved and uses his army to wage war against Noah so he can take the ark. Noah’s family is protected by fallen angels called Watchers. The animals began to board the ark. The rains begin and Noah soon has a fallout with Ham as he looses a woman that he wanted to go with him. lla played by Emma Watson is impregnated by Sham, not realizing it until they’ve spent weeks in the ark. The evil villain escapes the flood as he secretly boarded the ark during the attack. Noah’s family believes that they will have a chance to restart civilization, but Noah says the sin of the world will end with his family. Once he realizes that lla is pregnant, he plots to kill the baby so that he can uphold god’s plan. The family is outraged and the young couple plan to escape the ark. Their plan fails as Noah torches their little boat and the stress of that situation begins the onset of labor. The Villain uses Noah’s son as a ploy to influence Ham so he can kill his father. Tubal-cain wants to got Noah out-of-the-way,so that he can be the ruler of the people. Once the ark lands, and the doves seek a place to start over, a fight breaks out just as Noah discovers that the ark has been invaded by evil. The son defends his father and Tubal-cain is killed on the ark. Twins are born on the ark and Noah can not bear to murder the innocent babies. They start a new life and the new earth is born. Every time a new scene opened, the more I disliked this movie. I don’t understand the reason why the writers would change the story to such a degree that makes it disturbing. The villain was added for dramatic reasons. The purpose for Emma Watson’s character was pointless and the storyline centered around her was inappropriate. Murder in the new world, killing babies, are all things that contradict the story in so many ways. I grew up reading about Noah and the flood, and I just can’t express enough, how disappointed I was. They even added Noah’s grandfather Methuselah portrayed by Anthony Hopkins. The character presented could have been introduced better. 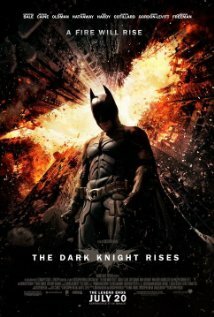 The special effects were good, but the story telling was just so bad. I did find myself wanting an even more detailed back-story on the watchers. That could have been developed better. This role was not fitting for the cast, with the exception of Hopkins, and where did Noah find clippers to get his head shaved? Really? I gave this movie 2 stars, not a box office must see.